From the thousands of graduating seniors who have participated in Miracle Network Dance Marathon at the approximately 300 colleges and universities across the U.S. and Canada, twenty students were selected to receive the 2017 Miracle Network Dance Marathon Distinguished Leadership Award for making an exceptional impact within their Dance Marathon program, on their individual campus and for their local Children’s Miracle Network Hospital. To see all of this year’s recipients, click here. Dance Marathon Involvement: My first year at Elon I was a member of the morale committee. The following year I applied for the executive board, and was selected to serve as the Marathon Relations and Community Outreach Chair, which means I was responsible for starting Elonthon’s first ever high school dance marathon. The next year, I was the Fundraising Chair, tasked with implementing the dancer minimum and creating new fundraising initiatives to reach our goal of $216,000. This past year, I served as the Executive Director of Elonthon. Over my four years of involvement, I have fundraised $5,552.38 for Duke Children’s Hospital. Elon’s Mock Trial Team – served as the secretary my junior year and President my senior year. Orientation Leader in the New Student and Transition Programs office for 3 years. Teaching Assistant for Elon’s 6th President Dr. J Earl Danieley. Delta Delta Delta – served as the philanthropy chair sophomore and junior year. Staff Member in the Phoenix CONNECTions office, a place for all students to get connected to different clubs and organizations that they may be interested in. 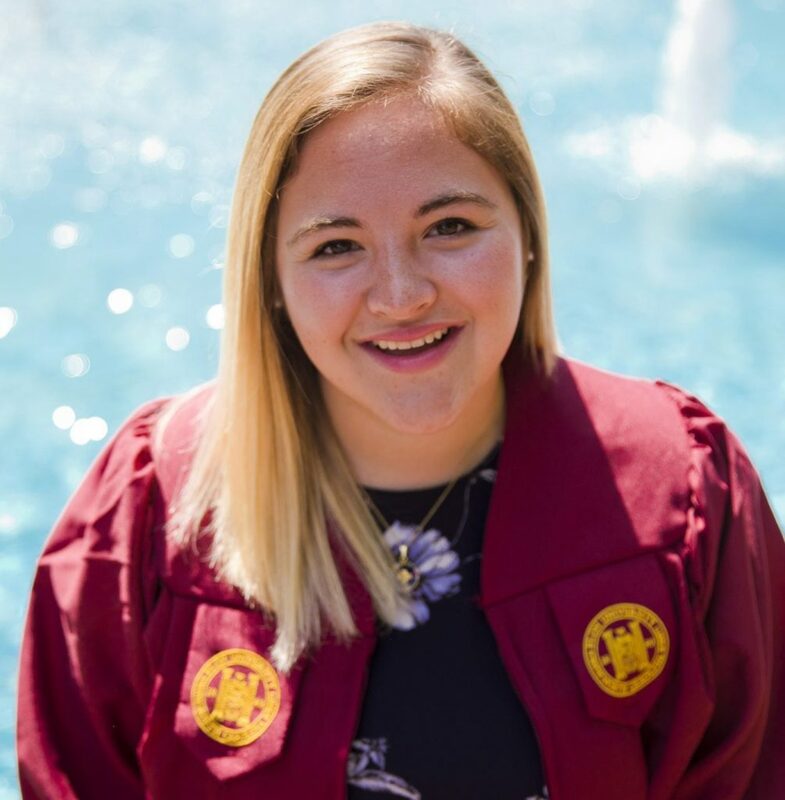 Post-Graduation Plans: I am hoping to work in development at a Children’s Hospital and would love to work for or with CMN Hospitals in some capacity! What personal accomplishment/contribution are you most proud of from your involvement in Dance Marathon? My journey in the Dance Marathon world has been a long one and by far the most meaningful experience of my life. As I try to put into words what this experience has meant to me, and attempt to pick an accomplishment or contribution, I can’t help but think about how this organization has shaped me, and challenged me to become the best version of myself. As I look back on my involvement in Dance Marathon, what I am most proud of is walking away from the organization better than I found it. During my year as the Fundraising Chair, I felt immense pressure to succeed and push our team to reach our goal of $216,000. When we raised $276,720.16 it was the proudest I had ever been in my entire life. The following year, I took on the role of Executive Director. This positon enabled me to leave a lasting legacy on the organization that has given me so much. Creating a team, empowering them, channeling their passion, and watching them succeed has been the greatest honor of my life. 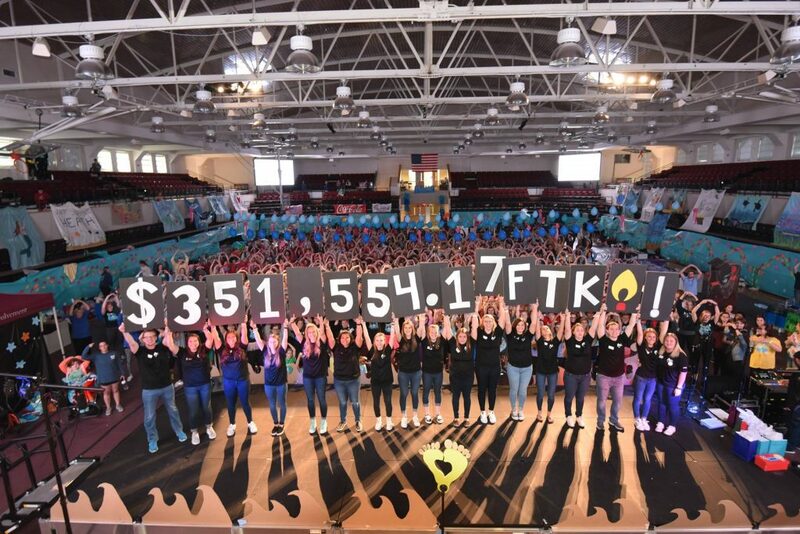 At our event two weeks ago, I had the opportunity to watch the team that I invested so much in raise our total: 351,554.17, breaking $300,000 for the first time in Elonthon’s 15 years. Knowing I empowered emerging leaders, started new initiatives, and challenged the organization to grow, means I know I am leaving it in good hands and in the best possible position for having even more success and making even more miracles. The Elonthon Executive Board revealing their 2017 fundraising total. How has Dance Marathon impacted you as a student leader? What specific skills have you developed during your involvement? Being involved in Dance Marathon has shaped me as a student leader and has shaped the person I am today. My leadership roles within Elonthon have given me experiences and opportunities to grow in so many different ways that helped me understand what it truly means to be a leader. All of my knowledge about leadership and belief in my skills was put to the test in my role as Executive Director. The biggest take-away from my time in this position was the importance of challenging the process. In the summer of 2015, our leadership team went to the Dance Marathon Leadership Conference and we sat on the floor of the LSU Student Union and vowed that we were going to turn Elonthon around. The only way we could do that was by challenging the status quo and changing the way things had always been done to truly make a difference and set Elonthon on an upward trend. Since that day, Elonthon has seen tremendous growth in numerous ways, and the trajectory continues upward. The Dance Marathon community taught me that it is important to challenge the process and embrace change in ways that will increase our ability to make a difference For The Kids. Being involved in Dance Marathon has also emphasized the importance of encouraging the heart of every single team member. Everyone who joins our movement has their own “why.” This is most important piece of our mission, and as a leader it was my role to ensure that our “why” remained at the front of our minds when making decisions. I’ve learned so much about encouraging others to stay motivated in their roles, creating an environment that fosters a strong team bond, encouraging highly motivated individuals, and leading others towards a common goal. In doing that, I was able to create a highly efficient and effective team that accomplished any and every goal set before them. Serving as the Executive Director encouraged self-efficacy, showed me how to lead, and taught me countless transferrable skills that I will continue to use in all of my future endeavors. Why do you, personally, participate in Dance Marathon? I participate in Dance Marathon because of the kids. I could go on for pages about the impact that this event has on miracle families, college students, communities, and anyone who comes into contact with it. The bottom line is that I believe in every kid’s right to a fighting chance. I do it because not a day goes by that I don’t think about my best friend who inspired the first Dance Marathon I started, my brother who never got the chance to fight, my other brother who got the chance to fight and beat his illness, and all of the kids across this country who spend their days looking at the same ceiling tiles from the same hospital bed in the same room for days, weeks, months, or even years. I do it for the kids who get to walk out of that hospital smiling, and for the kids who don’t. I do it because for a family in the hospital, it’s a comfort knowing that there are people out there who are giving up their time, energy, money, and more to stand with them in their fight. I do it because when it was me sitting in the hallway of the pediatric ICU in tears after hearing that my baby brother was going to need a kidney transplant, I knew that I had the biggest support system in the Dance Marathon community, and that made all the difference. I do it because when I get a phone call from the dad of a miracle kid to tell me how thankful he is for me and my team, I feel proud to know that I contributed to the fact that he gets to wake up every morning eager to share another day with his son. I do it because I believe in miracles and the power of people standing together to show the world that we can make a difference. I do it because this cause matters to everyone that is impacted by our efforts, and it always will. While I could continue to list off reasons, the most important one is that the Dance Marathon movement gives people hope. I’m proud to be part of a movement that reinforces the message that this generation is fighting for the next. 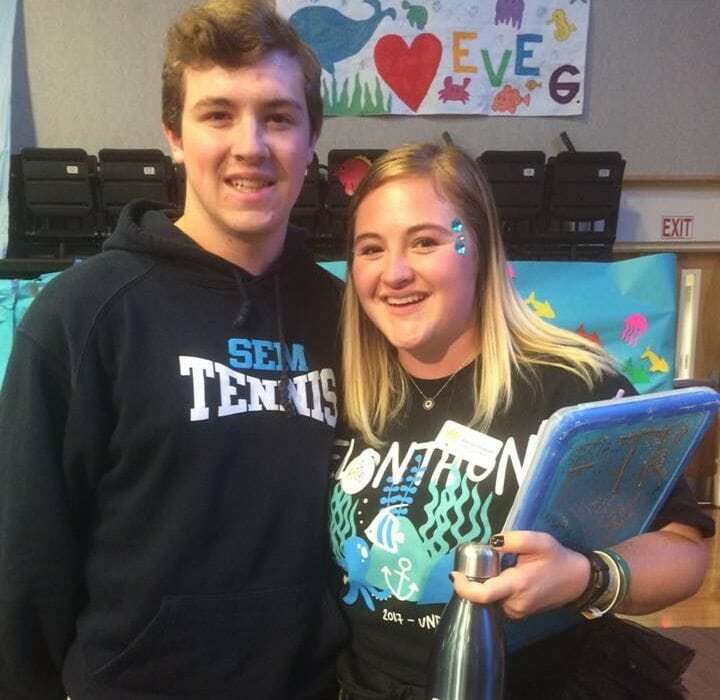 Schukraft with her younger brother at Elonthon’s 2017 Dance Marathon event in April. Why should students get involved with Miracle Network Dance Marathon on their campus? There are many organizations students can get involved with in college. A lot of those activities or clubs will be exciting, challenging, rewarding, and enjoyable but there is nothing in the world that compares to the feeling of being a part of the Dance Marathon movement. Not only can you feel all of those same emotions with Dance Marathon, but you also have the opportunity to make a difference in the lives of sick kids. Through Dance Marathon, college students have the power to change and save lives, and few clubs provide that level of depth and impact on a regular basis. Every day college students make a difference in the lives of sick kids all over the country, and that is something truly special. I would encourage everyone to join the movement because the responsibility is on us to stand up, dance, and fundraise so that one day we can dance in celebration, but until then, we need to keep dancing for the cure. Why should people donate to their local Children’s Miracle Network Hospitals? Whether directly, or indirectly, I guarantee every single person has personally been impacted or knows of a person whose life has been impacted by the work that children’s hospitals do. If it were someone you loved being wheeled off into surgery, being poked and prodded with a needle, or undergoing various tests, I would imagine we would all want that loved one to receive the best care possible. I know I did, and that care isn’t possible without donations. People should donate to their local Children’s Miracle Network Hospital because tomorrow is uncertain, and they can make a difference today. 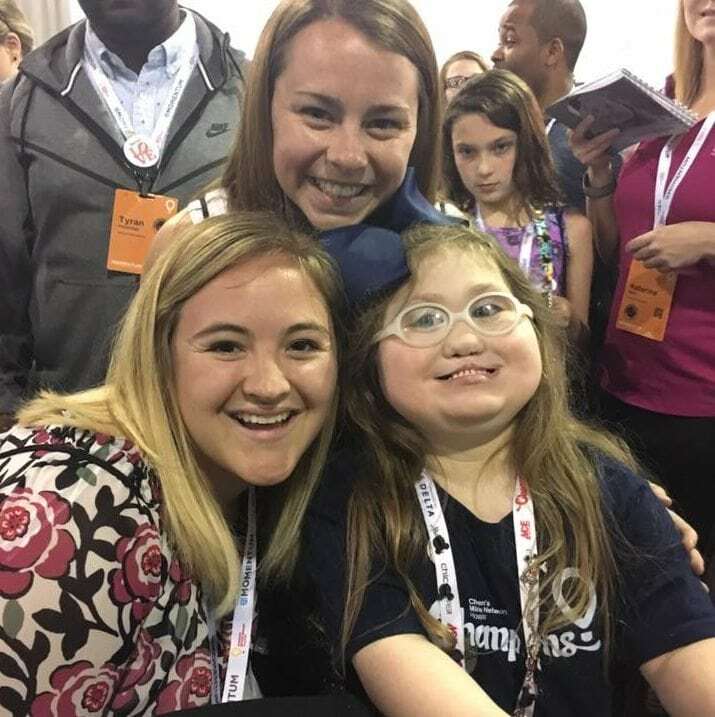 Schukraft with Katie, the 2017 CMN Hospitals Champion child from North Carolina. Schukraft will graduate in May with a B.A. in Political Science and minors in Leadership Studies & Philosophy. Miracle Network Dance Marathon is an international movement, involving over 300 colleges and universities across North America that fundraise for their local Children’s Miracle Network Hospitals. Since its inception in 1991, Miracle Network Dance Marathon has raised more than $180 million–ensuring that no child or family fights pediatric illness or injury alone.